Aerpro USB retention adapters allow the factory OEM USB socket in a vehicle to be retained when installing an aftermarket headunit. 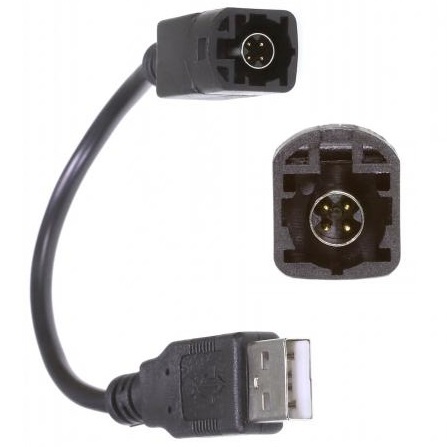 The adapter simply connects to the rear USB input on the aftermarket headunit and connects to the factory plug in the vehicle. APEUUSB1 is an uncoded USB retention adapter suitable for a variety of European vehicles including BMW, Mercedes, Mini Cooper and Volkswagen.